Mobi by Shaw Go now has 100 stations with WIFI! We are thrilled to announce that we now have over 100 Mobi by Shaw Go stations with WiFi, and that number continues to grow! Shaw Go WiFi coverage will be broadcasting ShawOpen for both Shaw and non-Shaw users. 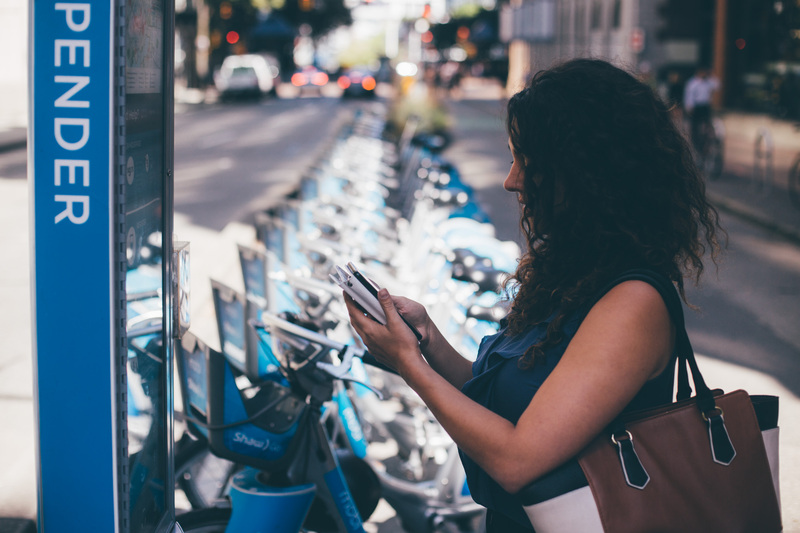 Use WiFi to track bike and dock availability, see account information or look up closest bike lanes. Select the ShawOpen network from the list of available WiFi networks. Login to your account (Shaw email and password) and enjoy! Select ShawGuest network from the list of available WiFi networks. Verify email account by selecting Activate Guest Account in email and enjoy! Please note: Each time you return to a Shaw Go WiFi hotspot, you will use your email and password credentials to sign in. 500MB of data resets 30 days from time of Account activation. Over 100 Mobi by Shaw Go stations with WiFi as of January 15, 2019.